Back in 1993 I remember buying a Super Nintendo game and excitedly reading the manual in the car on the way home. 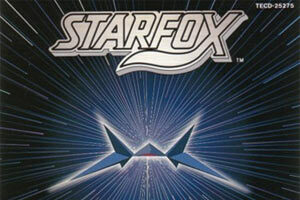 That game was Star Fox. One of the forgotten classics produced for the SNES, Star Fox has, in my opinion, the absolute best soundtrack of any game released on that platform, period. Composer Hajime Hirasawa did things with the SNES sound hardware that I thought couldn’t be done, things that gave the game a true orchestral feel. High-quality samples of orchestra strikes, timpanis and echoing synthetic strings were hallmarks of the game’s 39 tunes. Being a fan of that kind of marriage of synth stuff, dramatic cues and military-like snare drum rhythms, I loved it. It’s music like this that can keep a Nintendo game from being just more of the usual “kid’s stuff,” and instead propel it to the next level. Nevermind you were playing the character of a mascot-looking humanoid fox and listening to a toad, a hare and a falcon blab incomprehensively in your ear. That music is telling you that this is serious business, so you better pay attention! I always wanted a pure rip of the soundtrack from Star Fox—without all the sound effects and crap—but couldn’t quite get it. A soundtrack CD was released in Japan in 1993 by Teichiku Records, but as with most Japanese media, went out of print relatively quickly and is now, eleven years later, categorized as “extinct” (impossible to find, even in preowned channels). Once I got the ZSNES emulator, I tried disabling various sound channels in the hopes that I could isolate the music, but failed. But tonight, my search finally came to an end as I discovered this site. The official SPC archive maintains a gigantic vault of over 24,000 songs from a huge variety of American and Japanese SNES games, including Star Fox and the never-released beta of Star Fox 2, also for SNES. The SPC format was previously unknown to me, but it turns out it’s the native format of the sound samples stored in SNES game ROMs. To play them, you can either download one of the free SPC players linked to from the SPC archive website, or install a Winamp plugin called SPCAmp. Since I use Winamp for all of my audio playback, I chose the latter. WOW! 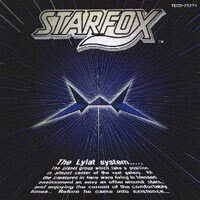 Here it is, the classic soundtrack from Star Fox that I’ve been seeking for years! The quality is perfect, since these are pure rips from the game itself without any digital-to-analog conversion nonsense. Even better, the SPC format has been augmented with what they call “ID666 tags” (similar to an MP3’s ID3 tag) which instructs the player how and when to loop portions of the song. So, you can load up “Boss Music 2,” for instance, and after the introductory bars, the song will loop indefinitely and seamlessly just as it does in the game. You don’t even have to put Winamp on track repeat. Beeeeautiful. And if you want jukebox functionality, SPCamp includes a utility that lets you add a fadeout time and length so you can make the songs end after a while. If you decide to download the soundtrack from the official SPC archive, don’t miss some of my personal favorite tracks—“Boss Music 2,” “Space Armada,” “Venom Highway,” “Venom Surface,” and the awesome and ever-popular “Corneria,” which has been remixed into more trance tracks than I can count by now. Oh, by the way—happy Fourth of July!